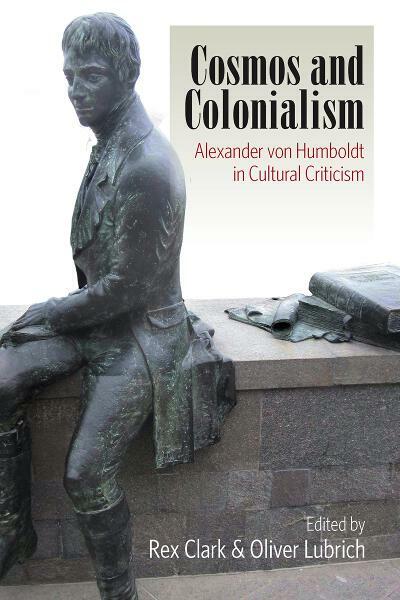 Alexander von Humboldt explored the Spanish Empire on the verge of its collapse (1799–1804). He is the most significant German travel writer and the most important mediator between Europe and the Americas of the nineteenth century. His works integrated knowledge from two dozen domains. Today, he is at the center of debates on imperial discourse, postcolonialism, and globalization. This collection of fifty essays brings together a range of responses, many presented here for the first time in English. Authors from Schiller, Chateaubriand, Sarmiento, and Nietzsche, to Robert Musil, Kurt Tucholsky, Ernst Bloch, and Alejo Carpentier paint the historical background. Essays by contemporary travel writers and recent critics outline the current controversies on Humboldt. The source materials collected here will be indispensable to scholars of German, French, and Latin and North American literature as well as cultural and postcolonial studies, history, art history, and the history of science. Rex Clark is a Lecturer in the Department of Germanic Languages and Literatures at the University of Kansas in Lawrence. He studied at the Freie Universität Berlin and the University of Illinois at Urbana- Champaign, researching the history of travel guides and travel discourse in the eighteenth century and focusing on Friedrich Nicolai, Georg Forster, and Alexander von Humboldt. He has published articles on digital media, postcolonial travel theory, and the reception of Alexander von Humboldt. Oliver Lubrich is Professor of German and Comparative Literature at Universität Bern in Switzerland. He is the author of Shakespeare's Self-Deconstruction (2001) and Post-Colonial Poetics (2004, 2009) and the editor of Travels in the Reich, 1933-1945 (2010). He has edited or co-edited Alexander von Humboldt's Central Asia (2009), Kosmos (2004), and the first German version of Vues des Cordillères (2004), the Chimborazo Diary (2006) as well as the ethnographic and political essays (2009, 2010).